Boost hair's lift and body with Redken's High Rise Volume Lifting Shampoo & Conditioner bundle, a pair of volumising formulas that work together to cleanse and condition whilst lifting fine, flat, lifeless hair. Infused with a blend of volume-boosting Filloxane and Silicone Polymers, the shampoo gently sloughs away dirt, impurities and grease. Lifting from the root, the treatment improves body, texture and visible fullness. Formulated to build body, the weightless conditioner moisturises and detangles to leave hair smooth and easier to manage. Silicone and softening polymers encourage lift and reduce frizz, leaving locks silky soft with a mirror-like shine. Apply shampoo to wet hair, massage into lather and rinse thoroughly. Follow with conditioner, distribute evenly and rinse thoroughly. Shampoo: Aqua/Water, Sodium Laureth Sulfate, Coco-Betaine, Sodium Lauryl Sulfate, Sodium Chloride, Glycol Distearate, Hexylene Glycol, Parfum/Fragrance, Aminopropyl Triethoxysilance, Acrylates Copolymer, Hydroxypropyl Guar Hydroxypropyltrimonium Chloride, Alcohol Denat., Polyquaternium-30, Citric Acid, Benzyl Alcohol, Linalool, Hexyl Cinnamal, Magnesium Nitrate, Alpha-Isomethyl Ionone, Limonene, Methylchloroisothiazolinone, Magnesium Chloride, Methylisothiazolinone, Sodium Hydroxide. Conditioner: Aqua/Water, Cetearyl Alcohol, Behentrimonium Chloride, Aminopropyl Triethoxysilane, Starch Acetate, Parfum/Fragrance, Cetyl Esters, Isopropyl Alcohol, Phenoxyethanol, Lactic Acid, Hydroxyethylcellulose, Benzyl Alcohol, Linalool, Chlorhexidine Digluconate, Hexyl Cinnamal, Alpha-Isomethyl Ionone. 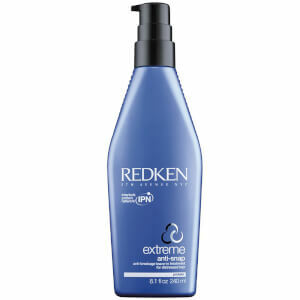 Redken High Rise Volume Lifting Shampoo & High Rise Lifting Conditioner. Great products, after using the shampoo and conditioner hair clean, thick and dense. Would recommend. Really like will be ordering more.